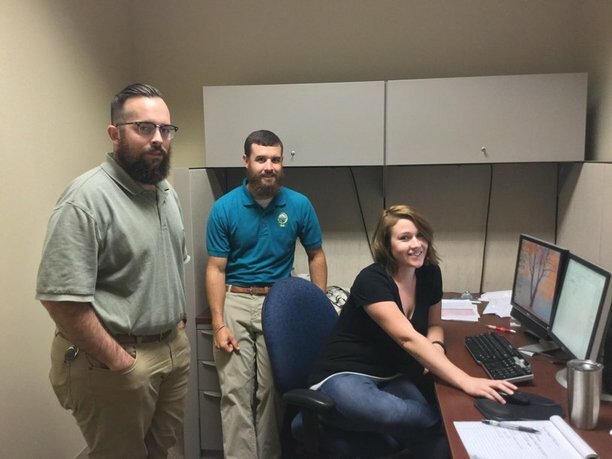 Interdisciplinary Studies major, Erin Broomell, had the opportunity to complete an internship with Glynn County’s GIS Department, an opportunity that provided some necessary experience for her future career involving GIS and technical writing. Throughout her internship, Broomell was trained on the intricacies of GIS, GPS, mapping technologies, and other ESRI software and online applications, which culminated in a project involving the mapping of Glynn County’s historical cemeteries. Broomell also assisted in the development of emergency management applications to help train county employees. Finally, Broomell had the opportunity to work on other miscellaneous projects including drone piloting and the collection of GIS data on beach erosion. For her main project, Broomell was tasked with the completion of a StoryMap for Glynn County’s historic cemeteries. As Broomell puts it, the purpose of the application is to enable "anyone with an internet connection to tour the [historic] cemeteries and search for those laid to rest ... by name, birth date, or death date". The utility of this project is great, as the application can be used to help those completing genealogical research. Additionally, the project can be used to preserve historical information from destruction at the hands of vandalism, erosion, or natural disasters. Along the way, Broomell faced challenges in gaining access to certain endangered cemeteries for which permission was required. Several of these cemeteries were in disrepair and would have benefitted the most from the preservation efforts being performed as part of the project. However, she did not let these challenges stand in her way and the quality of the end project did not suffer as a result. Broomwell also noted that she wished she had more time to spend on the project in that more time would have allowed her to gain more experience in this field. When asked about the skills she gained through her internship, Broomwell noted the experience she gained using ESRI applications including ArcMap, ArcCatalog, and ArcGIS Online and in learning how to use geo-location data collection equipment. She also gained skills through additional research experience, drone piloting, and map making. All of these experiences will benefit her as she pursues a career in technical writing and broaden her career options to include positions in GIS. To view Broomell’s final project, you can visit the following link: http://glynn.maps.arcgis.com/apps/MapSeries/index.html?appid=04e427c91cba4661b0b7f88a29cacf5c.